It is storming over our house at the moment but I am not afraid. I am protected and sheltered from the storm. As cheesy as it may sound, when the storms of life are pounding down all around you, if you are walking with the Father He has you covered. He has you under His wing and will protect and shelter you from the storm. 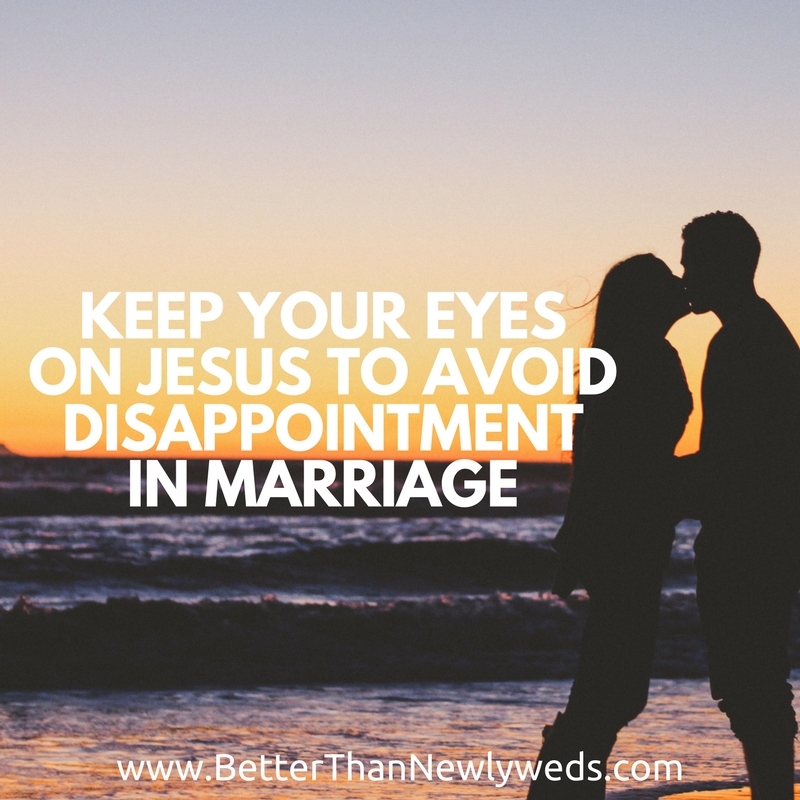 When you deal with disappointment in marriage, turn to Him and He will turn you back towards your husband. There will be disappointment in marriage. In marriage storms will come, that is a promise. It is what we do during those storms that shapes our marriages for years to come. If we decide to do it our way…which is of course the only right way… then we end up hurting not only our marriage but also our relationship with God. However, if we decide to rest in the shadow of the almighty and trust Him as we walk together through the storm… then we end up not only strengthening our marriage but also our relationship with God. People often say that “God won’t give us more than we can handle.” I disagree. I believe they need to add 3 words to the end of that phrase. They should say “God won’t give us more than we can handle with His help!” If we can handle everything on our own then what do we need God for? There will be times in marriage where we will wonder “how did we get here?” Those will be the times you might feel a great disappointment in marriage. I am going to go out on a limb and say that we end up in those moments because we took our eyes off Jesus and we removed ourselves from the shelter of the Father. God has given us guidelines in His word for our protection not as a punishment. Jesus already took that from us. We need to renew our minds daily and fix our eyes on Jesus. If our eyes are stuck on our husband and all of his mistakes then we have removed ourselves from the shelter and protection of the Father. Instead of focusing on what he might lack we should be focusing on all that He is! Our focus determines how we react to disappointment in marriage. We deal with disappointment in marriage because we have appointed our husbands as our strength, comfort, rock, salvation, provider, protector and much more. He is our strength and comfort… not our husbands. He is our rock and our salvation… not our husbands. He is our provider and protector… not our husbands. He is my ______…. not my husband. The more we look to our husbands to be all that God should be in our lives the more disappointed we will be. My parents-in-law once told us that marriage is constant 2-degree shifts back to your spouse. You should be refocusing your heart back on your spouse while simultaneously refocusing your eyes back on Christ. I am also guilty of placing my husband in positions that only God should fill. Yes, my husband is my friend, lover, and partner, but he is not my salvation. There is a difference. When I choose to avoid expecting my husband to be like God. I have much less disappointment, and much more communion. I’m so glad you enjoyed it… I think people who are trying to do it on their own with the mindset that they can handle it… miss out on the freedom relying on God gives us knowing that HE can handle it! Thanks for reading!